Home » News » Alliance du routier – what does it mean for polish carriers? Alliance du routier – what does it mean for polish carriers? 31 January 2017 is a very important date for the European transport. 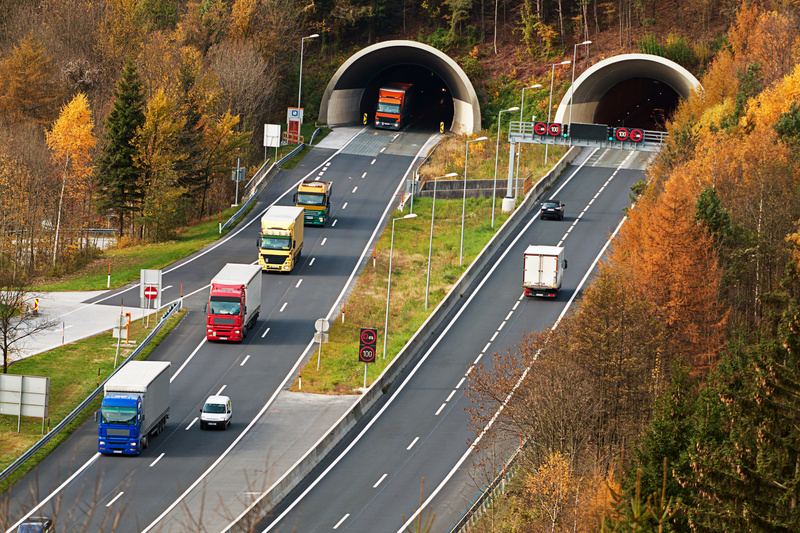 On this day, transport ministers of such countries as France, Austria, Belgium, Denmark, Germany, Italy, Luxembourg, Norway and Sweden signed an agreement pertaining directly to joint undertakings and a common road transport market. The goal of the alliance is to guarantee better social conditions and more effective controls. What does the agreement mean for our country? At the beginning, the agreement lists the purposes for which the document has been drafted and signed. The first one presumes development of measures adapting and amending the EU law, including social law with the purpose of enforcing legal provisions. The second part proposes improvements in the functioning of the law enforcement apparatus. Specially designed activities will be implemented to minimize attempted fraud or unfair practices. Everything will be based on the exchange of experiences and close cooperation between the states covered by the agreement. The last part pertains directly to transport between the EU countries. It assumes determining a common position by countries that launched the alliance, regarding social dumping and promoting unfair competition. The signatories to the agreement plan liberalization of transport, with focus on cabotage, re-organization of norms governing drivers’ working time and periods of rest, introduction of more effective coordination and control mechanisms or provision of substantial support for drivers in countries with deficiency of workers. Additionally, politicians want to improve safety of vehicles used in transport and run the policy of mutual assistance and understanding between drivers carrying out transport tasks. The first measure assumes the implementation of resources allowing a driver to find a balance between work and private life. It concerns drivers working on weekends – time free from work. The officials plan to impose sanctions once such practices occur or promote new rules that would enable drivers to spend their time off work at home. Some countries have already introduced such practices. Hence, a driver can choose whether they would like to spend their time off at home or in the parking lot. The promotion of the practice in question aims at reducing the number of drivers sleeping in vehicles during longer, week’s breaks. Moreover, the provisions will also apply to light commercial vehicles, the simplification of use of electronic waybills or changes in control systems and exchange of mutual professional practices. The above measures aim at strengthening ties between entrepreneurs and unifying the knowledge of individual services controlling drivers. Introduction of the alliance – what does it mean for Poland? The ministers signing the agreement speak, so to say, on behalf of all EU member states without taking into account such conditions as, e.g., distance between a driver’s place of residence and a route he travels. It means that the provisions were adapted to Germany or France. Drivers from such countries are the closest to their homes and can plan their trip in such a way to make it home for a break. In the case of Poland it is not viable because some routes pass through Spain or Great Britain, thus making it impossible for drivers to go home for the weekend. It means that they are doomed to suffer sanctions from the very launch of the alliance. National specialists who point to the fact that the community’s assumptions were violated are skeptical about the whole agreement. A few strong countries cannot decide about mutual laws that hit other member states. This constitutes direct discrimination, which may lead to the permanent exclusion of single member states from the common, EU policy.